On our weekend, we went for a drive on the back roads through the mountainous coal country of Morgan and Anderson countries just to relax and take pictures. 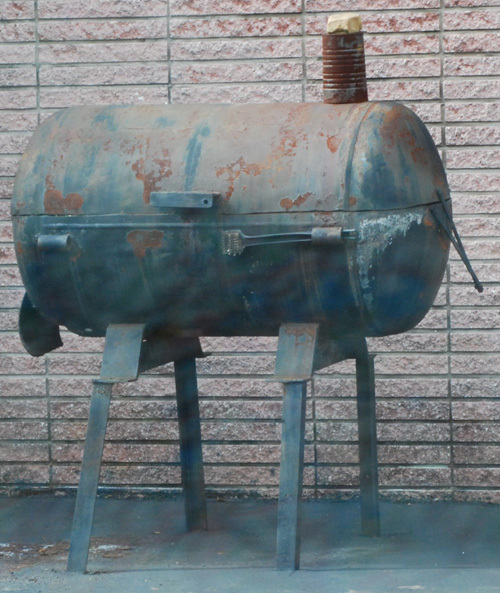 On these drives, I also notice the smokers and cookers folks have like this one that was at a Moose Lodge. We just celebrated our anniversary this weekend and one of the things that Alexis wanted for our meal was this version of a twice baked potato. We've made them 3 times recently, it's one of her favorites. It doesn't actually have pimento cheese in it but it does taste like it. Wash potatoes and dry. Rub with oil and salt. Wrap in foil and bake in a 400f oven until done, about 1 hour. Let cool for 15 minutes. 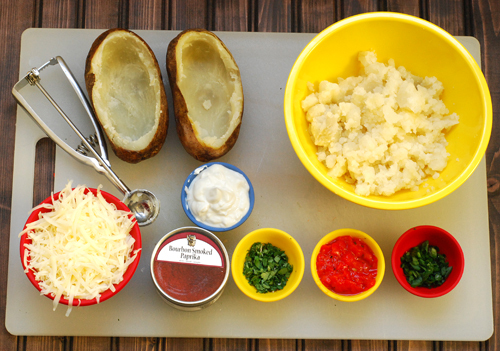 For each potato, cut off the top 1/4th. Remove and discard the peel from that piece and keep the pulp in a bowl. Using a melon ball tool or spoon, scoop out the potato pulp and add to the bowl. Add the remaining ingredients, except the butter, to the bowl and thoroughly mix together, smashing with a fork. Spoon the mixture back into the potato shells. Make ahead: Steps up until now can be done a day in advance. Keep refrigerated until ready to bake. Top with a little extra shredded cheese and drizzle with butter. 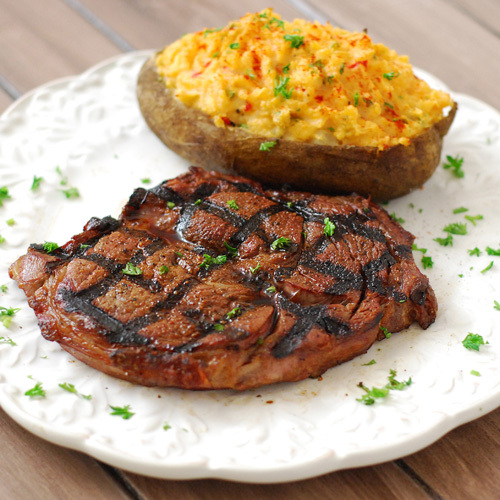 Place the stuffed potatoes on an indirect grill or oven preheated to 350f until cooked through, about 20 minutes if warm, about 30 if made ahead and refrigerated. The melon baller makes scooping the potatoes easy. Stuffed and ready to go. 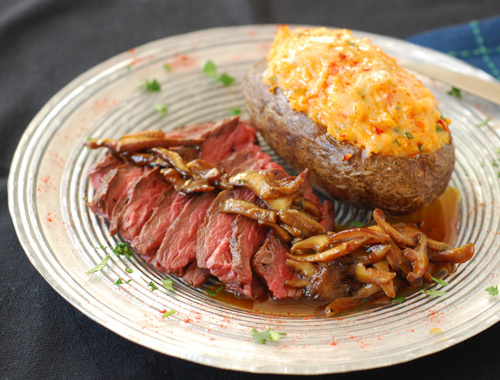 Shown with tri-tip and shiitake sauce. Pairs great with a nice grilled ribeye too. If you don't like pimento cheese, just swap out the flavors. Drop the red pepper and use a different cheese. Add bacon in. 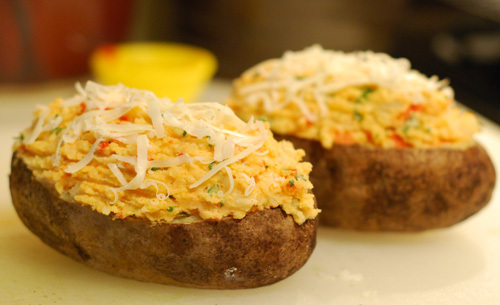 Do whatever, that is what is great about twice baked potatoes. 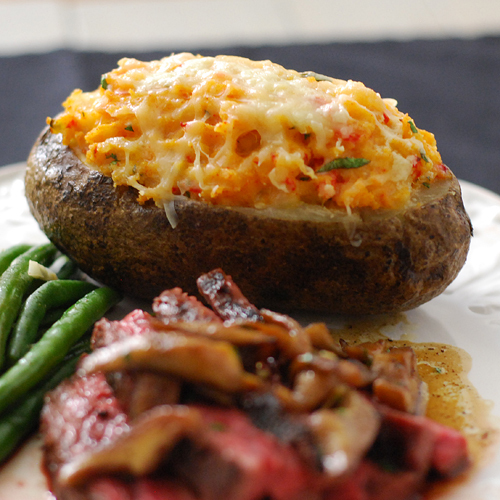 What is in YOUR favorite twice baked potato?